With all the lakes and rivers in Minnesota, it’s not uncommon to find the occasional waterfall. And while the majority of them are found on the North Shore, Minneapolis is blessed to have one right in the city. 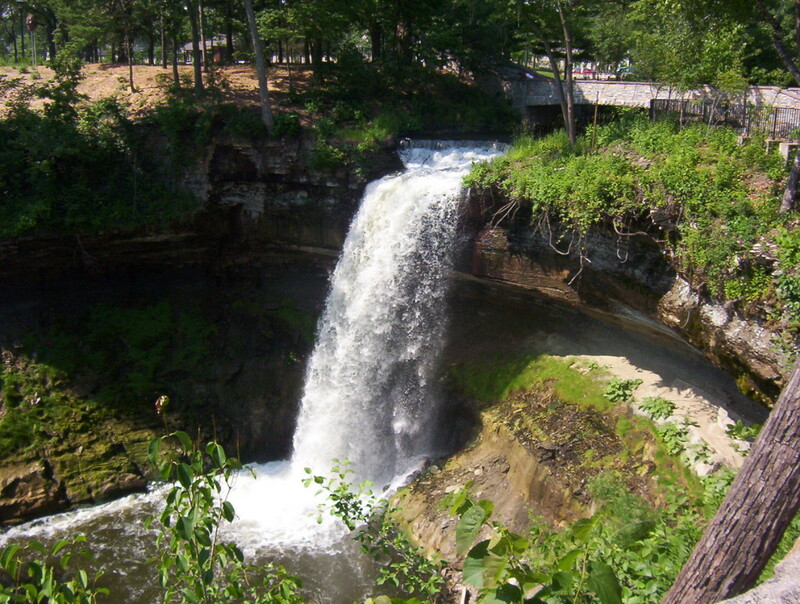 Minnehaha Falls is a 50-foot waterfall section of Minnehaha Creek, which flows through the Minneapolis area and its suburbs. 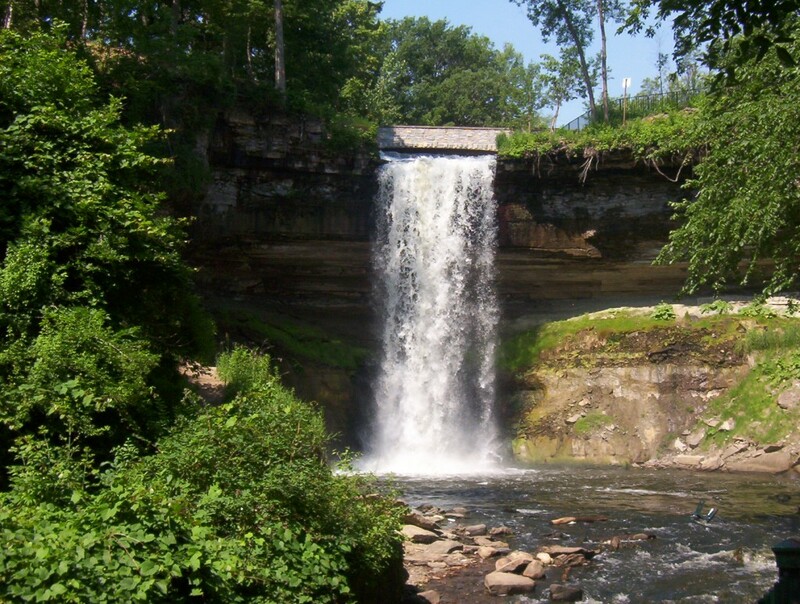 “Minnehaha” translates to ‘waterfall’ in Dakota and it is found in a city park near the Mississippi River. 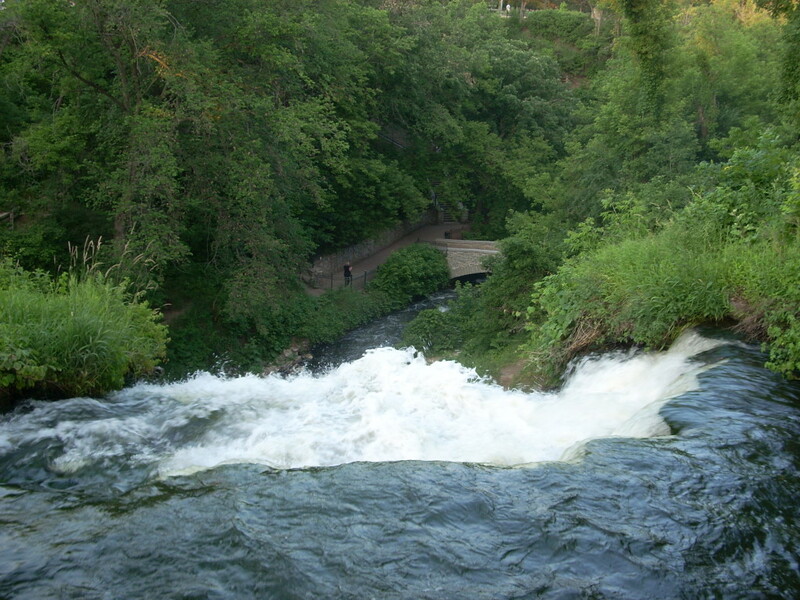 Thundering down into a gorge, Minnehaha Falls Park is an amazing sight to behold. The park is set up perfectly for viewing it at virtually every single angle. There are even unofficial trails that lead along the side of the shallow box canyon and behind the falls. A bridge at its bottom makes for your classic straight-on shot, and a bridge up top gives you a panoramic view downriver (below). 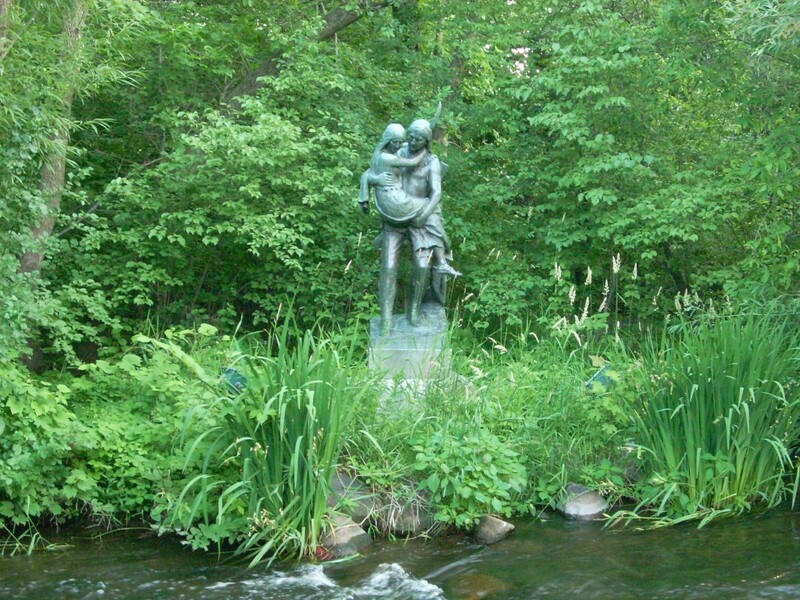 Something that always catches my eye here is the statue of Minnehaha carrying Hiawatha (below). These two Native Americans never actually existed, and the author who wrote about them, Henry Wadsworth Longfellow, in his poem The Song of Hiawatha, had never even actually visited the Falls. Also at the Falls park, there are some great bike trails, scenic overlooks, and several different vantage points for the waterfall. A nice getaway from the hustle and bustle of the nearby big city feel. It’s especially cool in the winter, when it freezes (below). It’s free to visit, although if you park in the lot next to it there is a small fee. Otherwise, this natural wonder is all yours for the enjoyment, so go do it if you haven’t. It’s a beautiful, calming place. 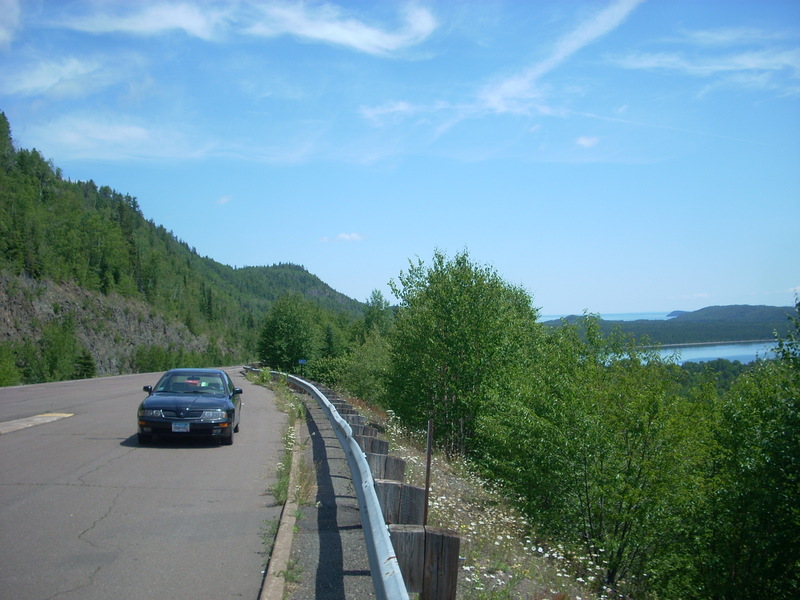 While in the area: Explore the park. Other than the Falls, there are great hiking and bike trails along the Mississippi, as well as the historic John Stevens House (the first settler of Minneapolis), an old train depot, extensive gardens, and a pretty good little restaurant called Sea Salt. Great place for a date or just to get outside, regardless of the season. 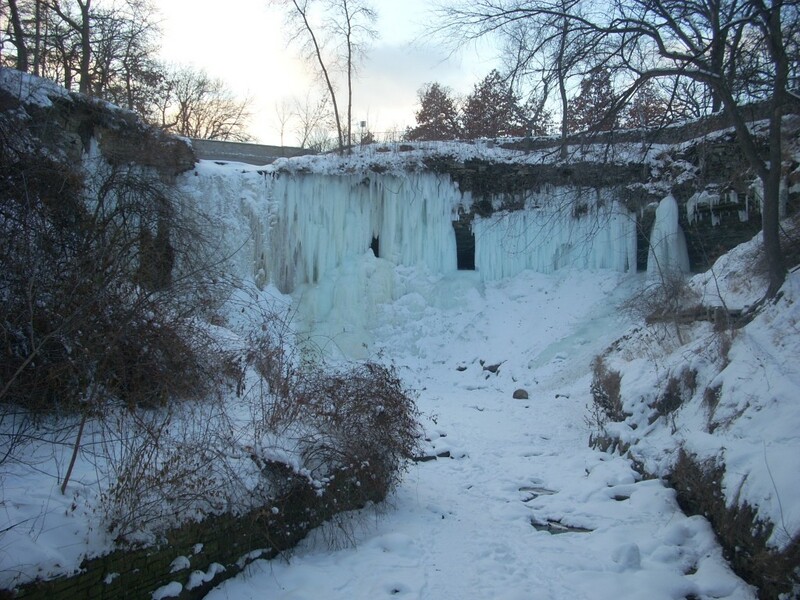 This entry was posted in Highway Highlights and tagged Minneapolis, Minnesota Geology, MN, Waterfall by Seth5544. Bookmark the permalink. In background of the statue of Minnehaha carrying Hiawatha there is clearly a squatch hiding in the woods. You can just make out the cone-shaped head.